The Overwatch League is discouraging players from posting Pepe the Frog memes. The character, who was created by cartoonist Matt Furie and has since been adopted as a symbol attached to the alt-right. Pepe was recently removed from the Steam Marketplace. 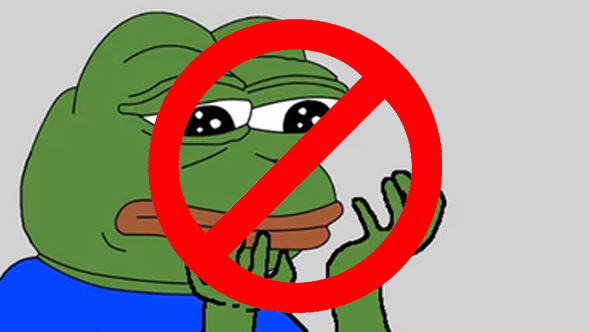 A spokesperson from the OWL told Dot Esports that “The Overwatch League discourages the use of symbols and imagery which are associated with or used by hate groups, including Pepe the Frog.” The spokesperson confirmed that the company asks both fans and players to comply with the policy. On March 18, San Francisco Shock’s Jay ‘sinatraa’ Won posted an image containing the character to Twitter, but has since deleted it, saying “lol had to delete last tweet.” Other players quickly followed suit, deleting uses of the image from their accounts. According to Kotaku, a Pepe poster held by an audience member at the Overwatch League debut was confiscated by security staff back in January.